Born in Newcastle-upon-Tyne, John Wilson Carmichael was the son of a ship's carpenter and went to sea at a young age. He completed an apprenticeship with a ship builder, but then established himself as a drawing master and miniature painter. He subsequently became a successful marine painter, exhibiting work at the Royal Academy and the Society of British Artists. In 1845 Carmichael moved to London, and in 1855 he accepted a commission to cover the Crimean War for the Illustrated London News. before becoming a marine artist. This trip resulted in his famous painting The bombardment of Sveaborg, 9 August 1855, now in the National Maritime Museum. He spent the last years of his life in Scarborough, where he died. Carmichael's daughter Annie married William Luson Thomas, a well-known artist, engraver and publisher, and founder of the Graphic (1869). 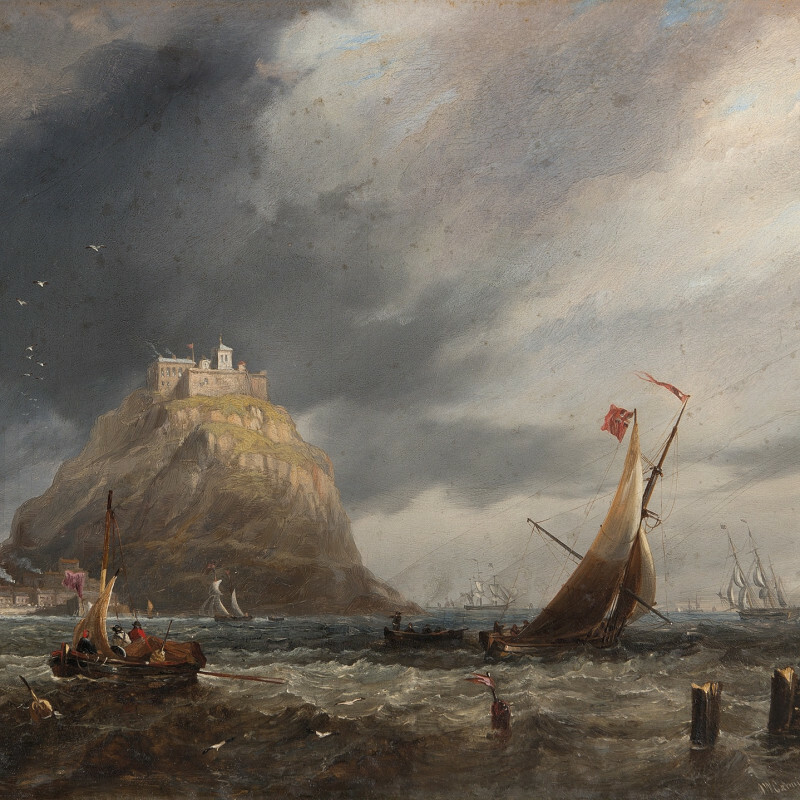 Along with E. W. Cooke and Clarkson Stanfield, Carmichael is considered one of the three most significant Victorian maritime artists.